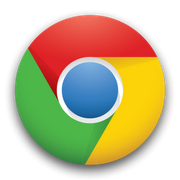 Google announced today on its Chrome Releases blog that Chrome for Android Beta has been updated to version 0.16.4301.233 (that's Chrome 16.0.912.77 for anyone counting). The update primarily brings bug fixes, specifically addressing "issues in the compatibility check which prevented Chrome from starting up on some versions of Android 4.0, Ice Cream Sandwich." In other words, whatever it is that broke compatibility with custom ROMs in Chrome's previous update seems to have been eliminated this time around. Google also urges users to report new issues by filing a bug report. For more information, and to stay on top of future Chrome updates, just hit the source link below.